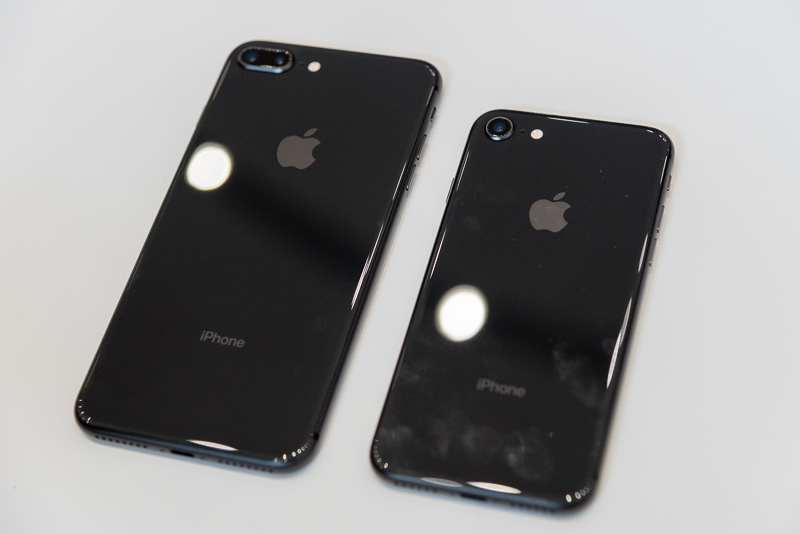 Together with the attention stealing iPhone X, Apple has also revealed the iPhone 8 and 8 Plus, skipping the ‘s’ generation for the iPhone 7. The new iPhones look very similar to the iPhone 6/7 generations, except that they come with glass backs, which enables Qi wireless charging. They also ship with faster processors, upgraded cameras and a True Tone display. 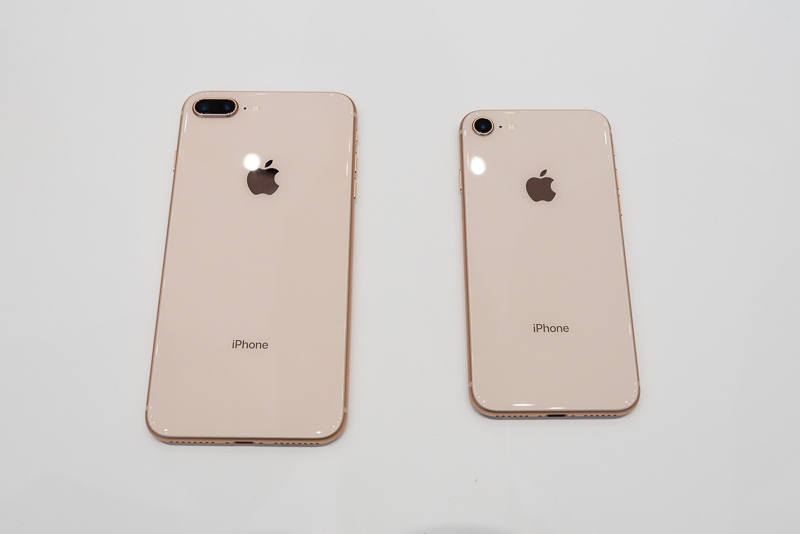 Unlike the iPhone 7 and 7 Plus, which you could get in six colors (jet black, black, silver, gold, rose gold, and later, red), the iPhone 8 and 8 Plus only launch in three colors; silver, gold and space gray. 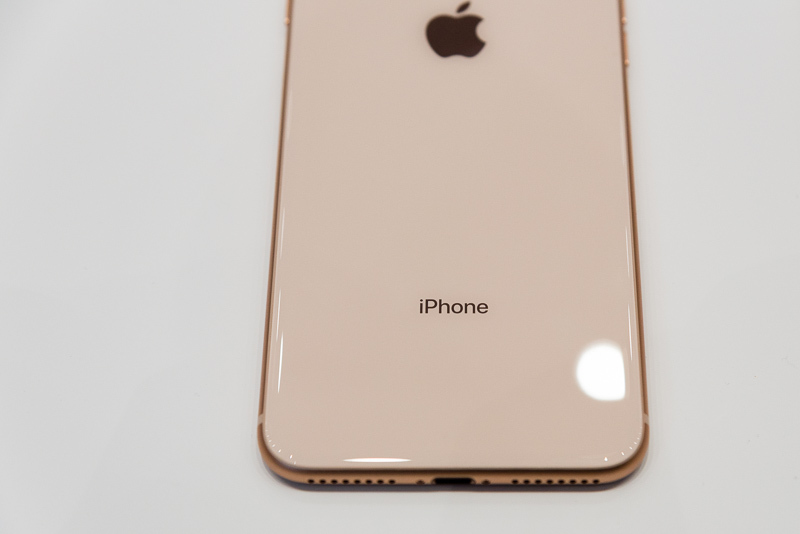 The new gold finish looks a lot like rose gold (I heard quite a few people at the hands-on area say the same thing). The cameras have been upgraded with bigger 12MP sensors, which should provide better looking images, especially in low light. The apertures remain the same, f/1.8 on the wide angle cameras for both, and f/2.8 on the 8 Plus’ telephoto camera. 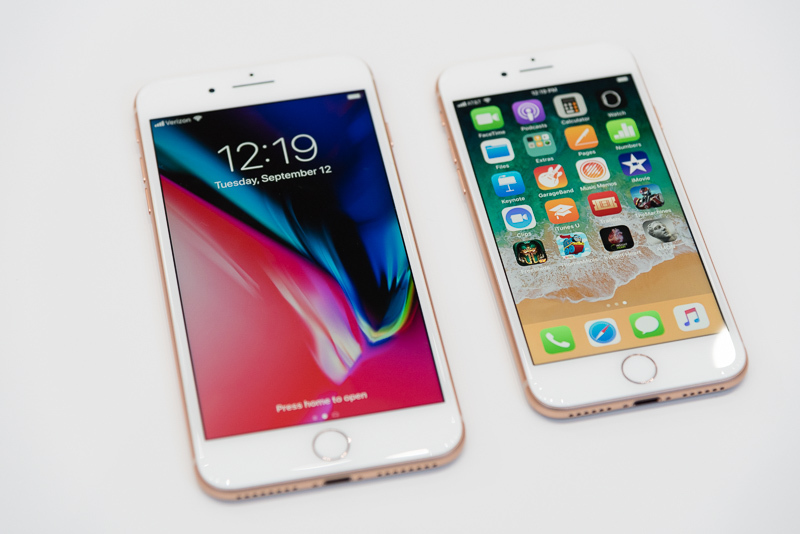 The iPhones come with a new image signal processor for more advanced image processing, and the iPhone 8 Plus gains a new Portrait Lighting feature that simulates studio lighting for faces. Both iPhone 8 models have a delightfully minimal back, similar to the iPhone X’s, which are free of any regulatory wording or symbols. Again, it’s unclear whether this is for display units only or will actually ship on working sets, as different countries have different rules for what needs to be printed on electronic devices. 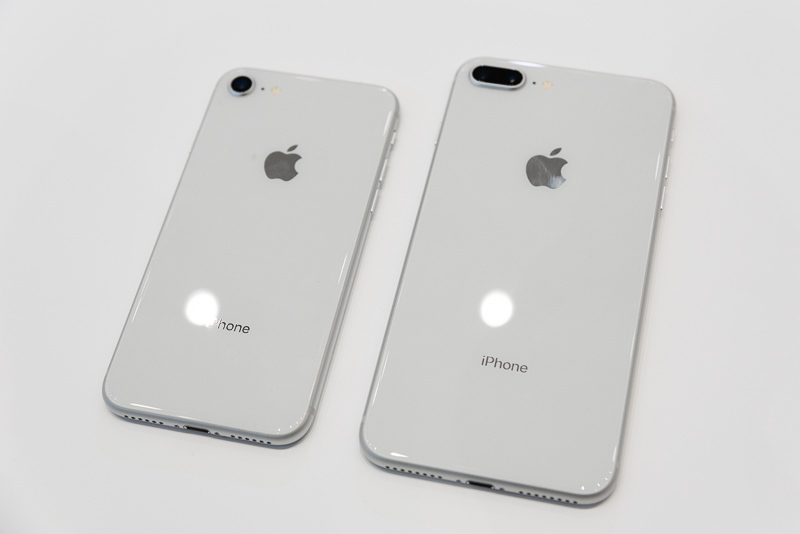 The backs of the silver iPhone 8 and 8 Plus. Apple says the glass is “the most durable glass ever in a smartphone”; it’s custom made glass reinforced with a strengthening layer and steel substructure. 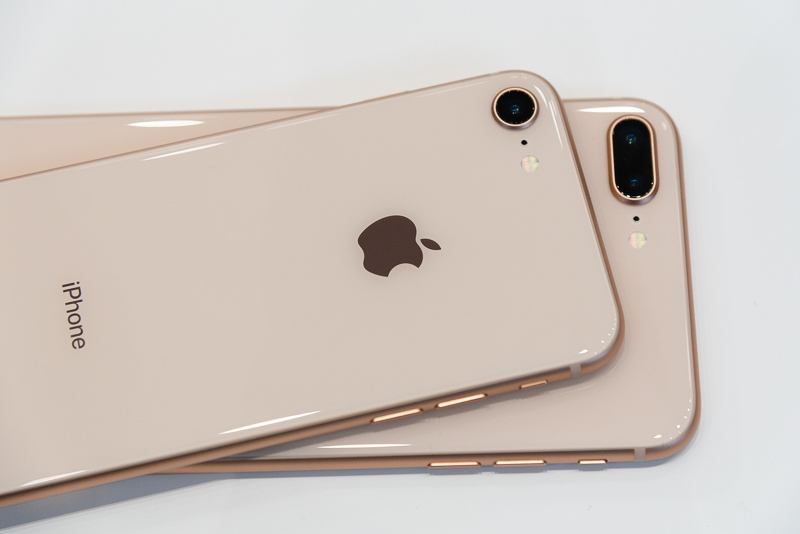 Unlike the iPhone X, which has a stainless steel band, the iPhone 8 and 8 Plus have aerospace‑grade 7000 Series aluminum bands. 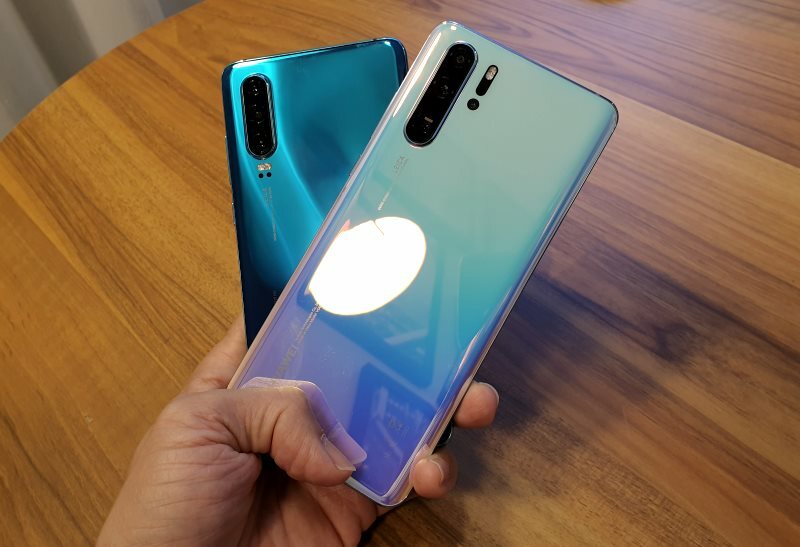 What’s immediately obvious when you see the new iPhones is how much more reflective the backs are compared with the previous aluminum unibody iPhones. It reminds me of the iPhone 4/4s, the last iPhones to have glass backs. 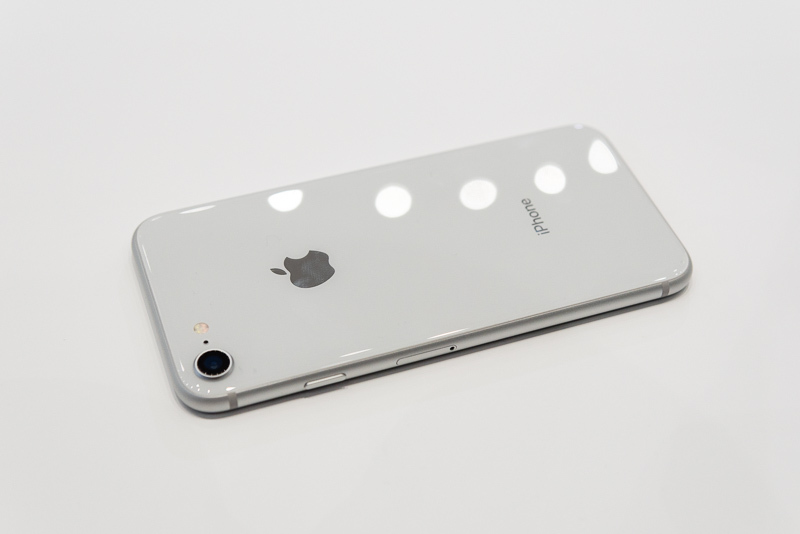 The new glass back also reminds me of all the fingerprint smudges I had to wipe off my iPhone 4. Glass smudges, even with oleophobic coatings, as the staff wiping down the new iPhones at the event would know. However, seeing as most people put their iPhones in cases anyway, this likely won’t be a problem. 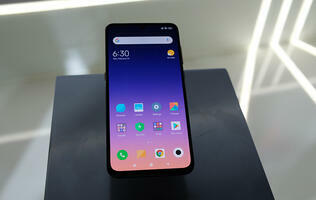 And the new glass backs enable wireless charging, which may be well worth the smudging for.